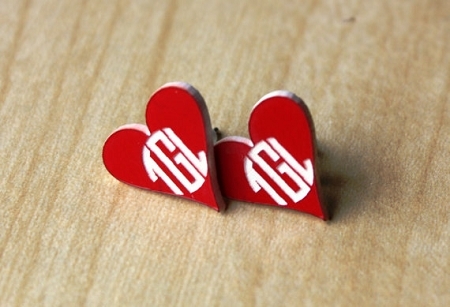 These custom made monogram earring studs are laser cut from a hardy plastic and engraved in the circle block font. 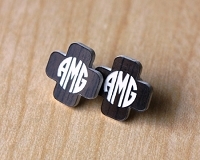 You choose the color and monogram (three letters) you want to appear. 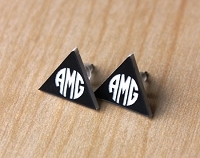 • Each pair of monogram earrings are hand designed by us and laser cut from 1/16" plastic. 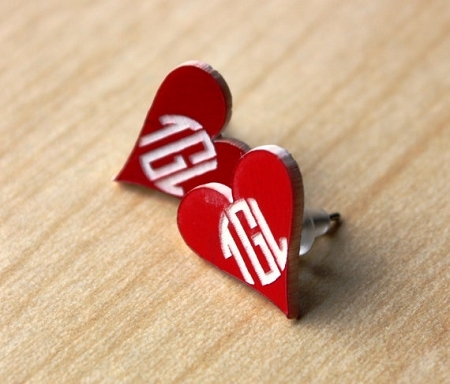 Each custom pair of monogram earrings from Frederick Engraving comes in their own presentation box, ready to wrap and gift. 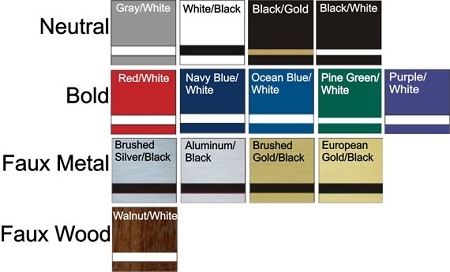 Keep in mind that colors may look different depending on your computer monitor. We do offer samples of plastic colors by mail, for a small fee.